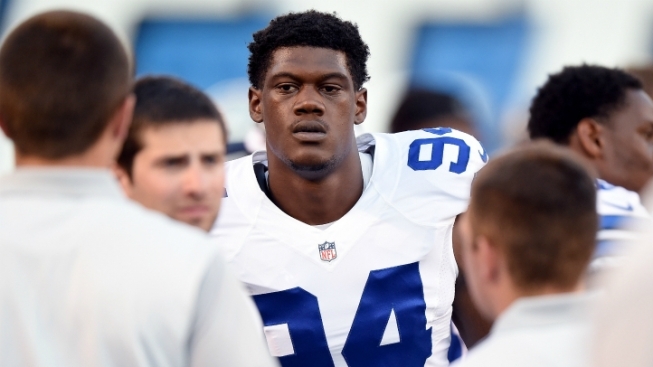 Randy Gregory Adopting "Sixth-Man Mentality"
Randy Gregory has a bit of a catch-22 on his hands. In order to earn more playing time, he needs to be more productive. In order to be more productive, he needs more playing time. There is a solution though, and that solution involves Gregory changing the way he approaches the game. After a very promising preseason, Gregory played in 18 snaps in the opener before suffering a high ankle sprain. He’s been back in the last three games, but very quiet, with just 31 snaps over that span. Now it’s Week 9 and the man many fans thought might register double-digit sacks in his rookie year is still looking for his first tackle. It’s an unfamiliar place for Gregory.